VLDB 2010, the 36th conference in the series, will be held in Singapore from 13 to 17 September 2010 at the Grand Copthorne Waterfront Hotel Singapore. This is the second time that this conference is held in Singapore. The first VLDB conference held in Singapore was in 1984. Singapore is situated at the southern tip of the Malaysian Peninsula in South-East Asia. It provides all the modern facilities conducive to effective work: a safe environment, comfortable accommodation, efficient transportation and effective information and communication infrastructure. Singapore is a vibrant Science & Technology hub where several Universities and numerous public and corporate research institutes perform high-quality research over a broad range of disciplinary and cross-disciplinary areas. Singapore benefits from a knowledge based economy with a national R&D spending target of at least 3% of GDP by 2010. Singapore is a small and prosperous cosmopolitan nation that offers to the visitor the cultural diversity of its four main ethnic groups, namely, Chinese, Malays, Indians and Eurasians. With museums, theme parks, beaches, nature parks and two new integrated resorts as well as bustling shopping and dining heavens, Singapore is an excellent place to unwind. It is also just a short and cheap hop away from Malaysia, Indonesia, Thailand, Cambodia and other exciting destinations. The affordable price level and the excellent flight connections will make Singapore an unforgettable VLDB experience. 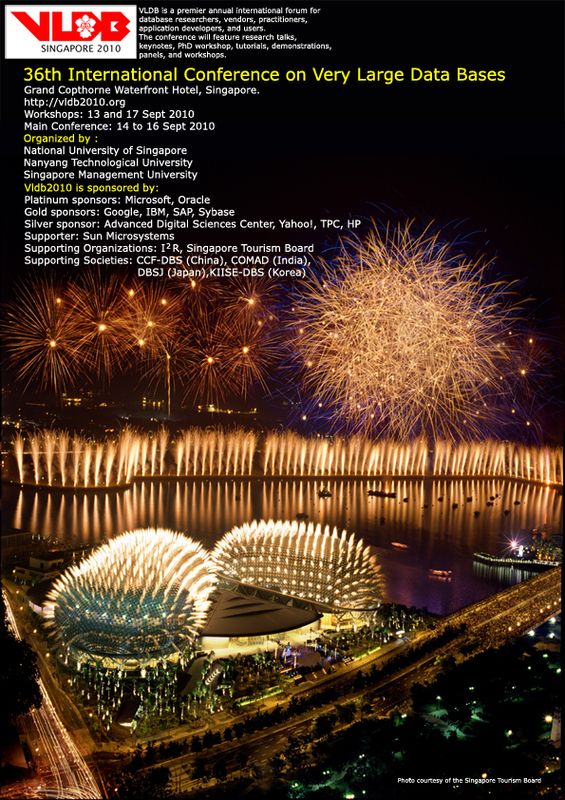 The conference co-organizers: National University of Singapore, Nanyang Technological University, and Singapore Management University are looking forward to your visit. 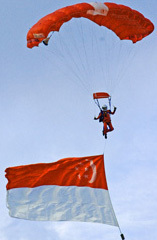 For further information about Singapore, visit Uniquely Singapore, the comprehensive official tourist information site of Singapore Tourism Board.